An outfit completely from JustFab online to ring in the new year in style. Shining in this black Sequin Romper with choker neck detail worn with tights underneath to keep warm, and over the knee boots heeled boots with tie back detail. I threw the New Easy Jacket on top to polish the look to hit the streets. 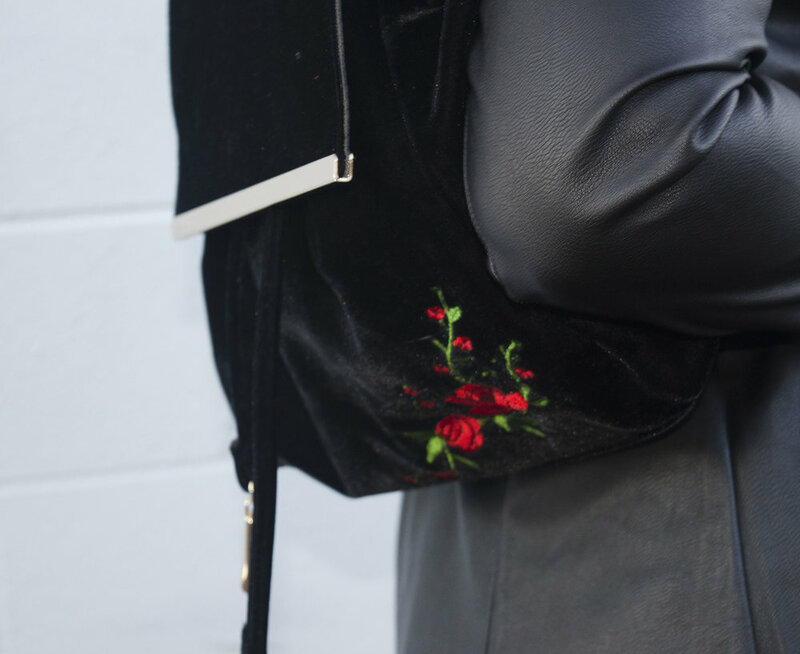 The velvet backpack has a rose embroidery detail, which is very on trend for the season. Wishing you all positivity and peace in the new year! Shop the complete look at JustFab Online!